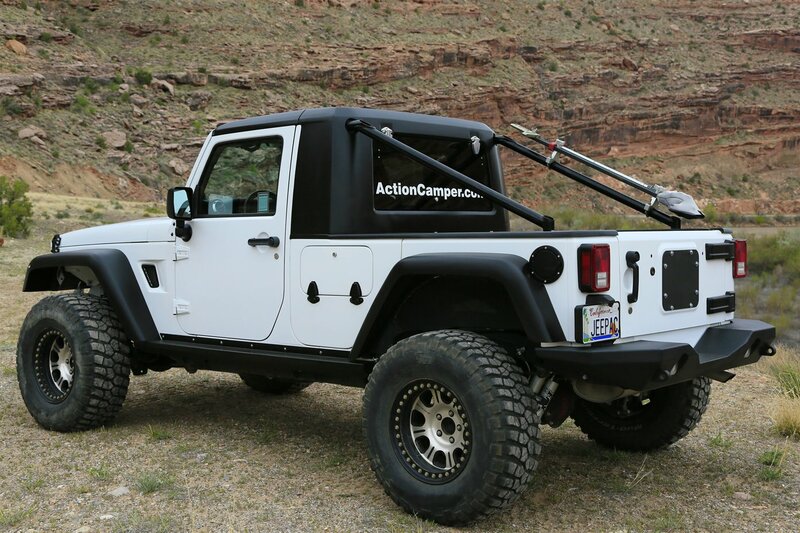 The JK Unlimited ActionTruck© truck kit consists of: two half doors with integrated service doors to access the storage space there and under the bed; a truck bed covering all sides; a one piece front hardtop; a rear hardtop with an factory style lifting rear window to deliver long things on the passenger side or just get fresh air; a complete roll bar conversion kit and external "Sport" bars, all powder coated. 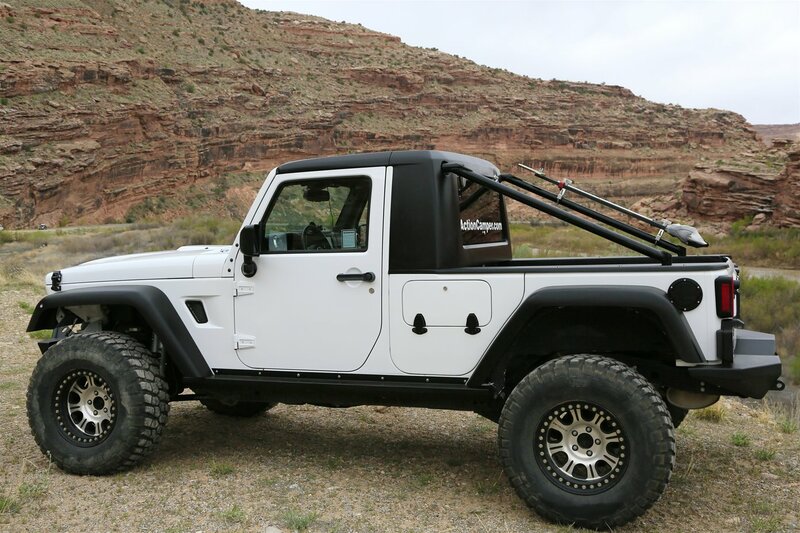 All parts are strictly bolt on. 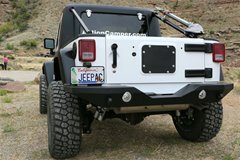 Just precision cutting and drilling necessary! The JK Unlimited ActionTruck© truck kit body panels are made of fiberglass, come with a black semi-gloss gel coat finish and are fully carpeted inside. The truck bed floor is reinforced and carpeted in the whole front are that can be seen from the cabin or the access doors. 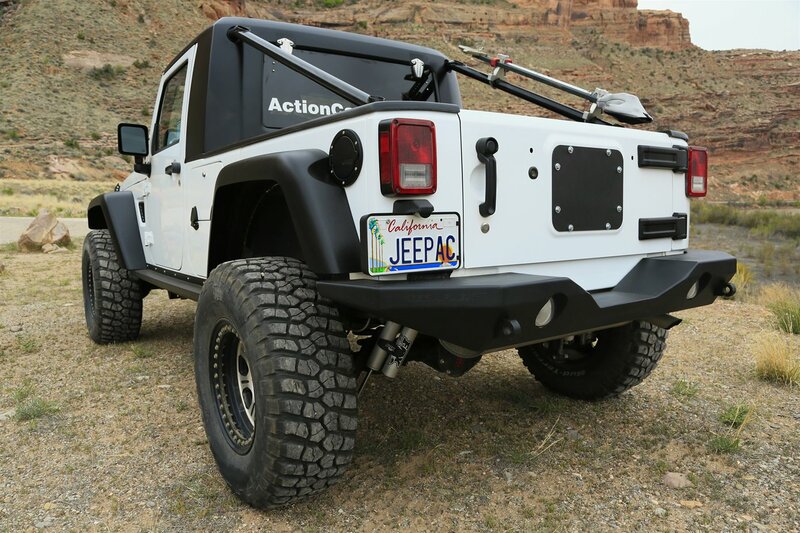 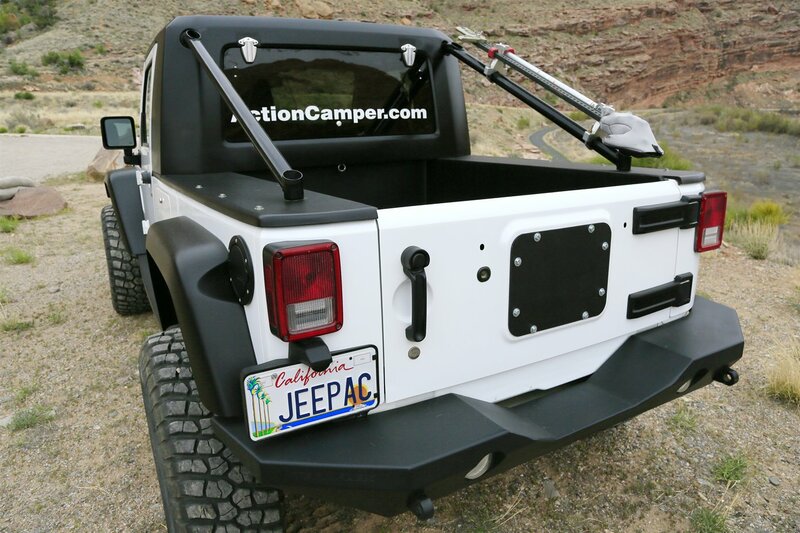 The internal roll bar conversion kit connects the roll bar near the b-pillar with the floor near the rocker panels. 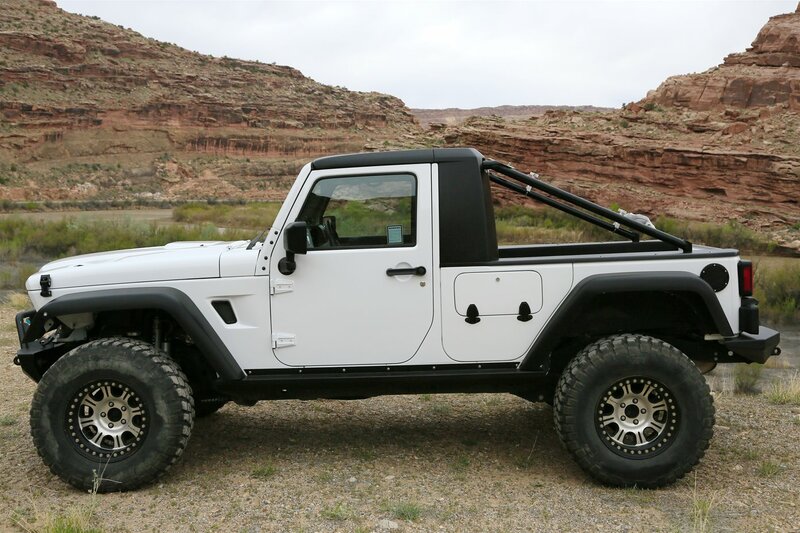 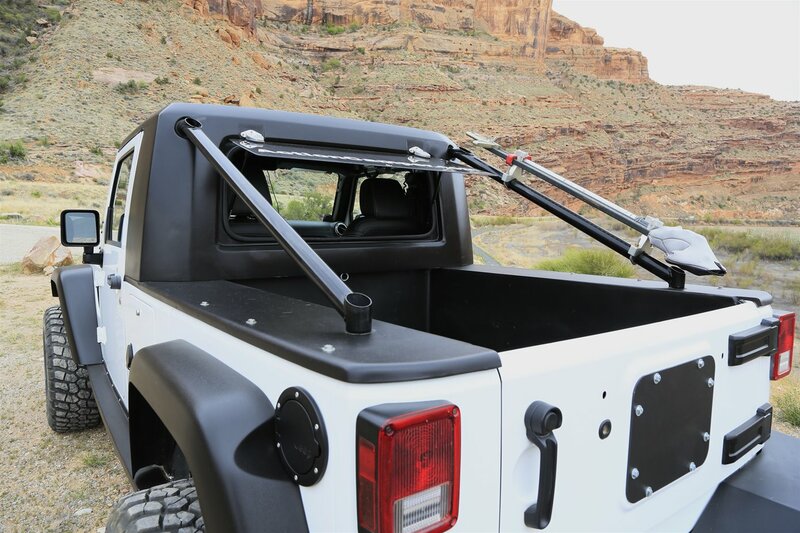 The sleeves on top slide and mount over the trimmed off factory roll bar where also the upper hard top is mounted, the "Sport" bars also mount to these and the rear sleeves. 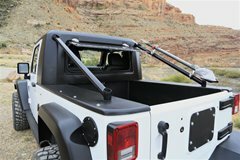 At mid height the hard top and truck bed mount to tabs. 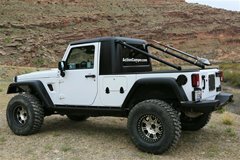 The rear sleeves slide and mount over the trimmed off factory roll bar. 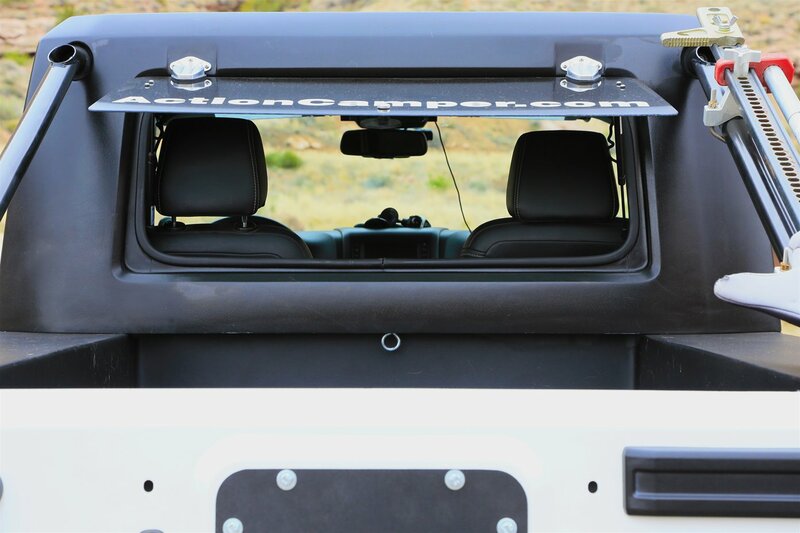 All parts are powder coated black. 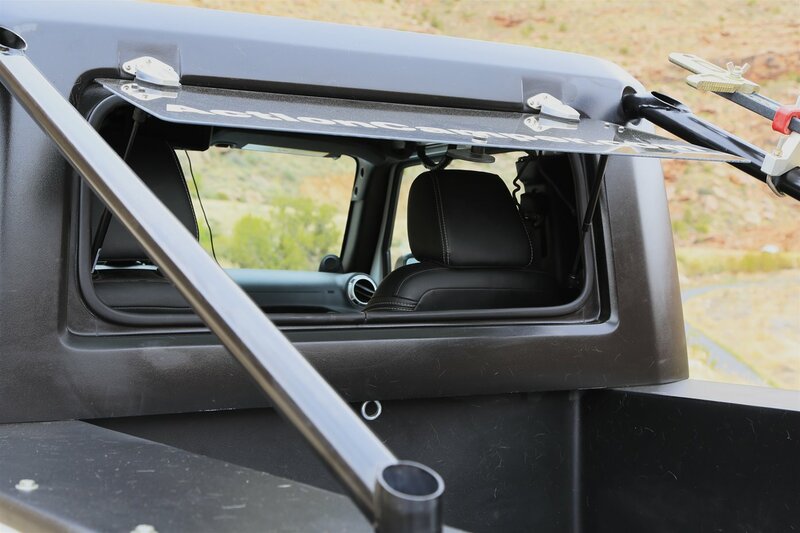 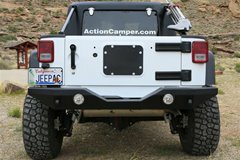 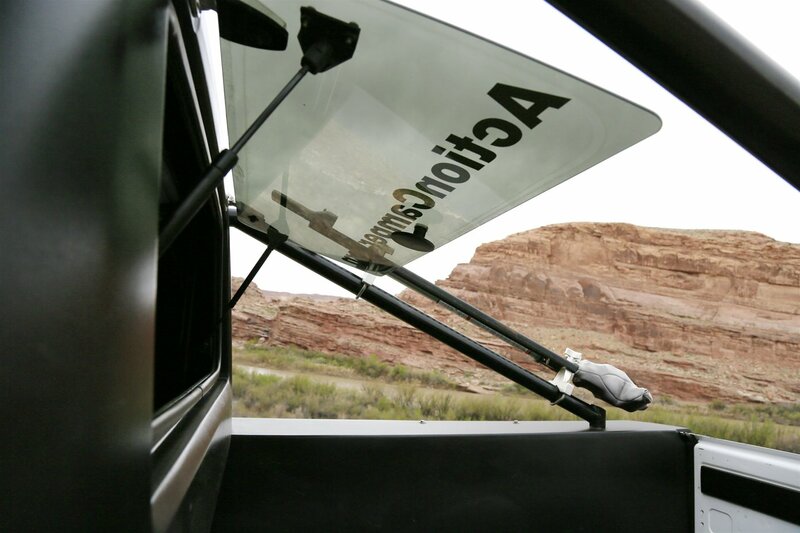 The external "Sport" bars add to the safety and let you mount light bars, racks, spare tires, recovery gear, etc. 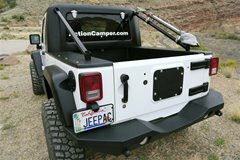 They extend from the hard-top rear, down to the rear fender and are bolted to the aforementioned sleeves. All parts are powder coated black. 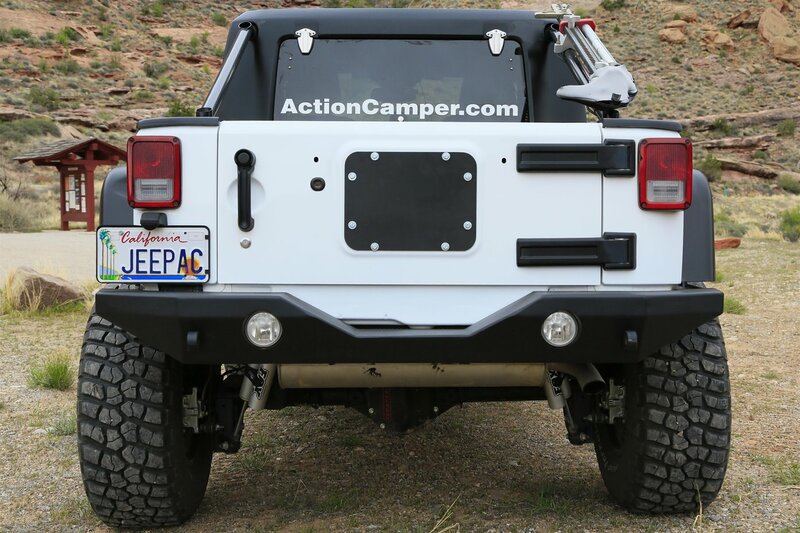 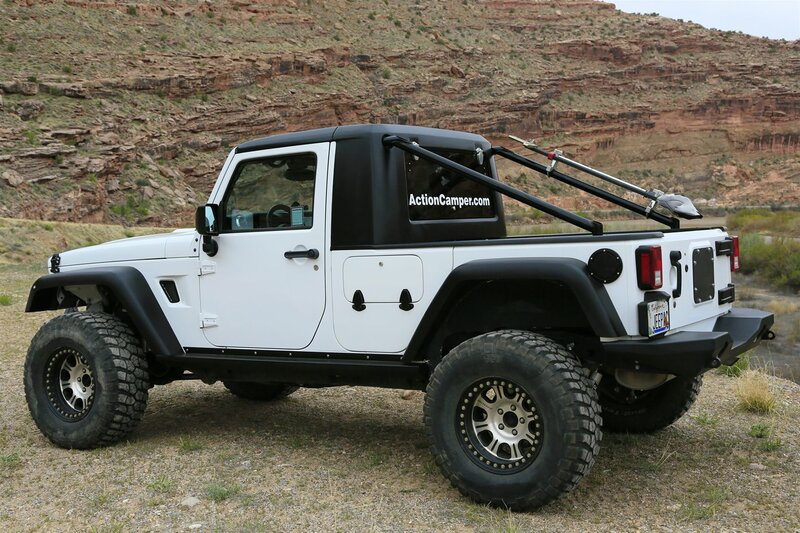 The big difference to the Mopar JK8 kit is that the ActionTruck is an bolt on kit and can be built back at any time; the room under the truck-bed can be accessed through the lockable lids in the door panels; the front hard-top comes with the kit, it can be outfitted with an electric panorama roof and an front roof-rack bar that is connected through the roof to the roll-bar, the rear roof-rack bar can be mounted to the upper roll-cage tubes; there is a lot of dry storage space in the fender wells; the rear window can be fully opened; external "Sport" bars can be fitted with many accessories. 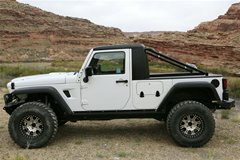 The J8 is built for Army purposes; the two-door long version has no B-pillars; it has a wonderful diesel engine.